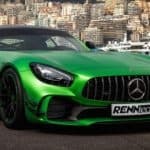 Mercedes-AMG has recently announced that they’re planning to introduce an outrageous AMG GT Black Series in 2020, but if you can’t wait that long, you can always turn your head to a few tuning companies that could make your dreams come true, or even go beyond what the German car manufacturer had in mind. 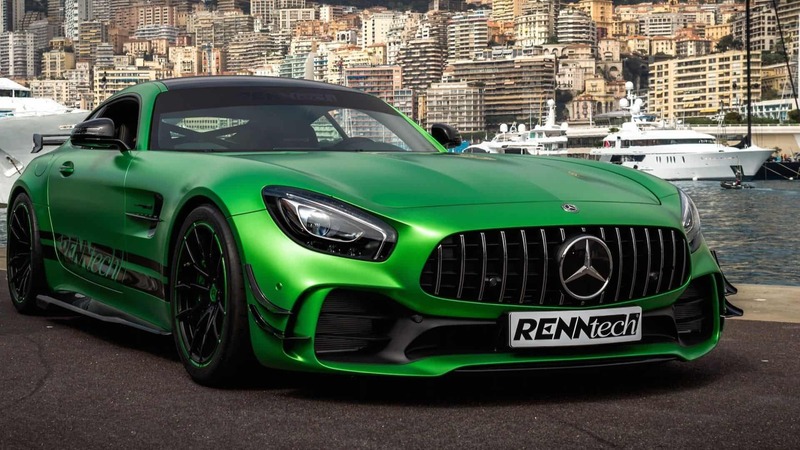 Speaking of the Mercedes-AMG GT R, the factory model packs an impressive twin turbo 4.0-liter V8, that’s capable of developing 577 hp and 700 Nm of torque, but if you feel that’s not enough, the brilliant guys from Renntech will gladly take this beast to the next level. 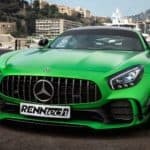 Renntech’s wild version of the AMG GT R will boast 813 hp and 850 Nm of torque, thanks to an upgraded ECU, with a larger turbo and air filter, tweaked blow-off valves and many other enhancements. 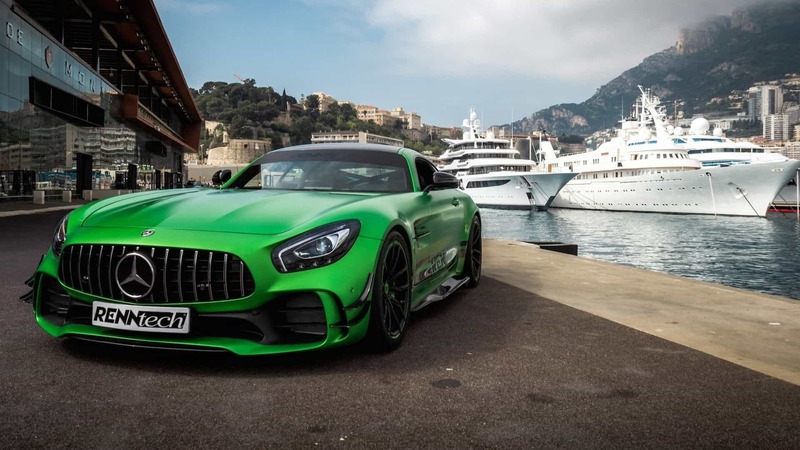 In order to handle all that extra power, this Mercedes-AMG GT R has also received an upgraded dual-clutch seven-speed automatic gearbox that should help you put this thing through its paces. 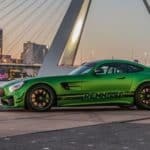 The German tuner also offers a less extreme version of the AMG GT R, with just a minor power boost, to 603 hp and 730 Nm of torque, but we refuse to talk about it here. It’s all or nothing for us, and more is always better, at least when we’re talking about horsepower and speed. 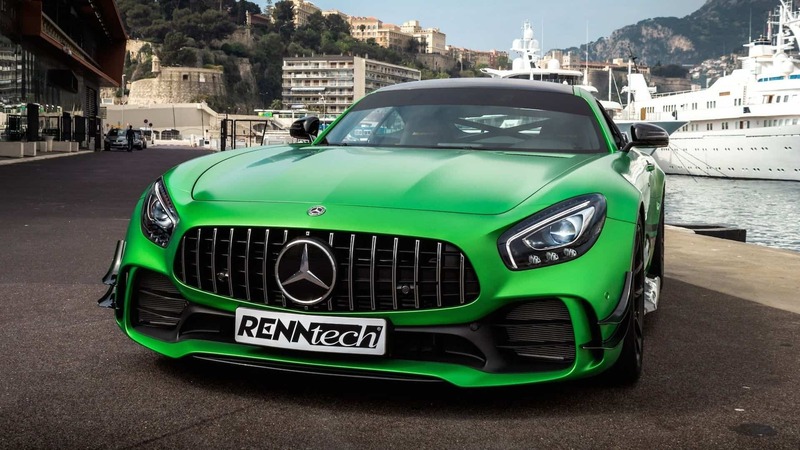 As you can see from these photos, Renntech has also added a few touches on this car’s striking body lines, with new front bumper canards, redesigned side rocker panels, a massive two-stage rear wing and a larger diffuser at the back. 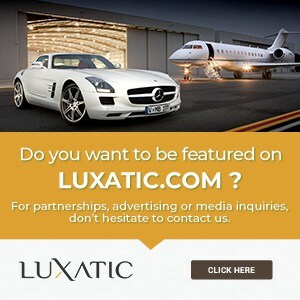 The upgraded Mercedes before you also rides on a new set of 19-inch wheels, wrapped in high performance Michelin Pilot Sport Cup 2 ZP semi-slick tires. 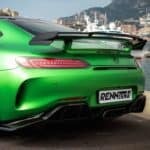 The 2019 Mercedes-AMG GT 63 S Edition 1 is here!